Today we will discuss about what to buy and what not to buy using your debit and credit cards. In everyday purchases like clothes and food product we can definitely use our cards. But in some cases we have to avoid using it. We all know that one of the top benefits of credit card, such as bank of commerce mastercard gold is allowing us to purchase anything without the need of cash on hand. However, using a credit card every time you shop is not recommended. There are certain items that should you not be crediting to your card, such as medical bills or college tuition. To guide you accordingly on how to use your credit card efficiently, here are some of the things that you should be charging with your credit card. Often, PayPal enables you to use different payment method, whether it is PayPal balance, PayPal credit, debit card, and credit card. Among all these payment methods, credit card is the most convenient and efficient way to use. It is safer to use compared to debit cards. Plus, in case you experience fraud or errors in your transactions, you can easily monitor the payment history and correct it if needs to. Many people experience difficulties when using debit cards overseas. And since credit cards are commonly accepted abroad than debit cards, it is much easier to use a credit card when you purchase something overseas. Remember to contact your credit card provider before you leave your home country, so they can activate it and discuss any security concerns. Furthermore, just take note of how much your credit card provider will charge you of the foreign transaction fee. With the advent technology, many consumers now choose to purchase their food and clothing through several online stores. 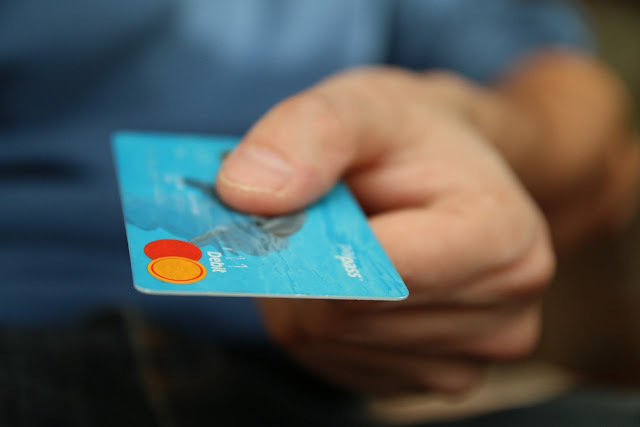 Though some stores offer cash on delivery (COD) payment option, it is much easier to use your card, such as bank of commerce mastercard classic. Using credit card on your online purchases gives you peace of mind since several card providers additional protection to its cardholders. Depending on the card provider, its security features are better than what debit cards offer. Whether it is for airplane tickets or hotel accommodation, using a credit card to pay for these is a sensible choice. Many card providers offer discounts and promos every now and then that can cover your travel expenses. So apart from payment convenience, cardholders can also enjoy these exclusive perks. You can also earn free flights or hotel stays, get VIP lounge access, or avail discounts on vacation packages, which depends on what kind of card you have. Many event promoters have partnerships with different credit card companies. This tie-up provides convenience to consumers since they can book event tickets in advance or maybe score discounts and exclusive perks. Credit cards are efficient financial tools that provides convenience in purchasing. It is more convenient to use than cash. However, it is not always the best option. There are things that you should not pay with a credit card. Make sure to always use it responsibly. And one way to use it correctly is to know what type of purchases you should be crediting to your card.